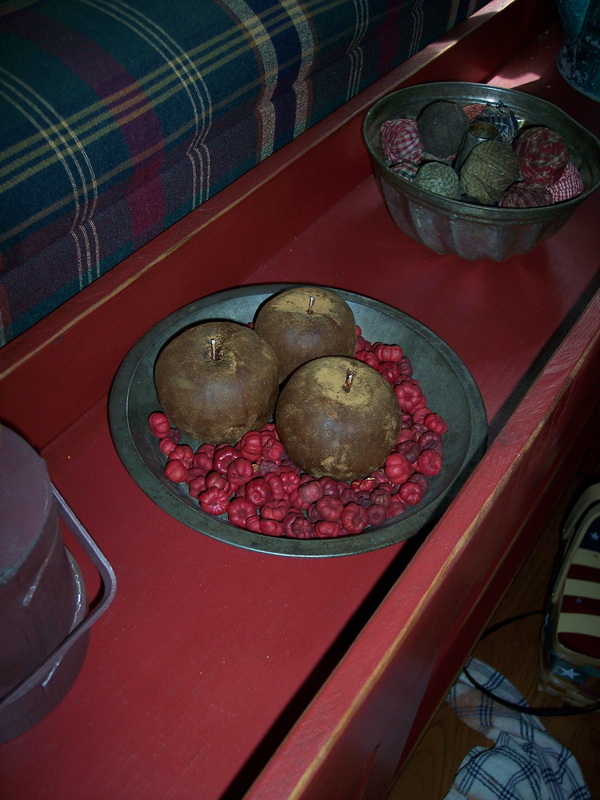 Our Red Apple Candles are great for display in an old bowl or trencher full of fixins. They are super prim, heavily scented and grubbied to look old. They are ~lumpy and bumpy~ and each one has been hand molded. No two are alike! Scented in Apple Berry, I give each one a hand rubbed finish and coat them with cinnamon & cloves to give them the perfect prim finish. They each measure about 3 x 3, some a bit bigger, some a bit smaller, but they are all the size of real apples. Price is for 3 apples. 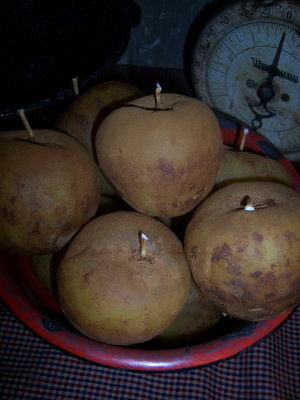 Our Brown Apple Candles are great for display in an old bowl or trencher full of fixins. They are super prim, heavily scented and grubbied to look old. They are ~lumpy and bumpy~ and each one has been hand molded. No two are alike! Scented in Apple Berry, I give each one a hand rubbed finish and coat them with cinnamon & cloves to give them the perfect prim finish. They each measure about 3 x 3, some a bit bigger, some a bit smaller, but they are all the size of real apples. Our Green Apple Candles are great for display in an old bowl or trencher full of fixins. They are super prim, heavily scented and grubbied to look old. They are ~lumpy and bumpy~ and each one has been hand molded. No two are alike! Scented in Apple Berry, I give each one a hand rubbed finish and coat them with cinnamon & cloves to give them the perfect prim finish. 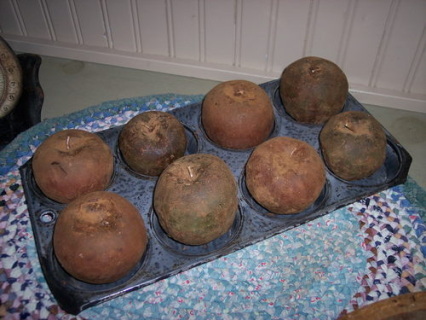 They each measure about 3 x 3, some a bit bigger, some a bit smaller, but they are all the size of real apples. Our Yellow Apple Candles are great for display in an old bowl or trencher full of fixins. They are super prim, heavily scented and grubbied to look old. They are ~lumpy and bumpy~ and each one has been hand molded. No two are alike! Scented in Apple Berry, I give each one a hand rubbed finish and coat them with cinnamon & cloves to give them the perfect prim finish. They each measure about 3 x 3, some a bit bigger, some a bit smaller, but they are all the size of real apples.